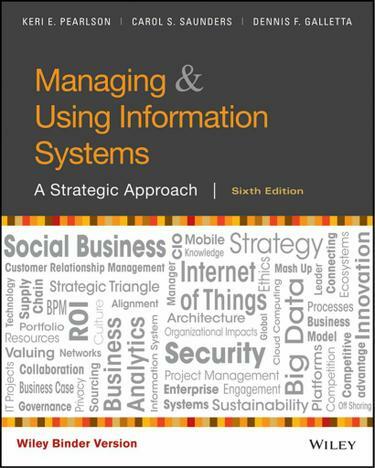 Managing and Using Information Systems: A Strategic Approach, Sixth Edition, conveys the insights and knowledge MBA students need to become knowledgeable and active participants in information systems decisions. This text is written to help managers begin to form and point of view of how information systems will help, hinder and create opportunities for their organizations. It is intended to provide a solid foundation of basic concepts relevant to using and managing information.